The 7 Days to Die Official Wiki! Have you seen the Kickstarter for 7 Days to Die yet? Check it out! They're also up for voting at Steam Greenlight. Equally exciting is that Gamepedia is the official wiki for 7 Days to Die, a voxel-based zombie horror survival that blends tower defense, roleplaying and FPS! This open world sandbox game full of variety: exploration with a full points-of-interest system, a dynamic story generation system to enhance roleplay and loot, basic survival that intertwines with an extensive crafting system, a robust combat system, and powerful character development. Available on Windows, Mac and Linux, 7 Days to Die has enemies that strengthen or weaken depending on time of day, and can adapt to players in the world! In either solo, co-op or multiplayer play, sneak past enemies, search out or create purer food and water, and customize your character with an experience and skill tree system. 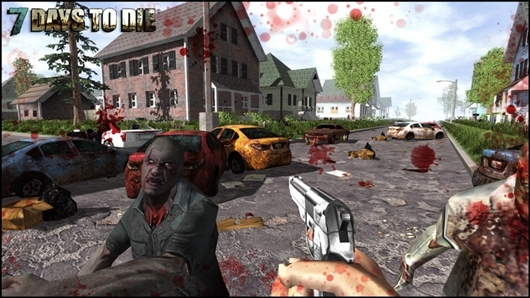 7 Days to Die accommodates a diverse assortment of gamers and game play styles! While it offers something for everyone, 7 Days to Die needs help. Be sure to vote for it on Steam Greenlight and check out their Kickstarter rewards! Is this the game for you? Become a backer of 7 Days to Die and get something awesome, like a detailed game map, an in-game poster with your face, your name in the credits, beta and alpha access, and so much more! If all of that isn't convincing you yet, their stretch goals showing where any extra funds will be allocated should do the trick! Additionally, the 7 Days to Die Official Wiki relies on community support. Every Gamepedia wiki is built from the ground up by our community -- you! If you would like to become a contributor, please see the help page on how to get started! 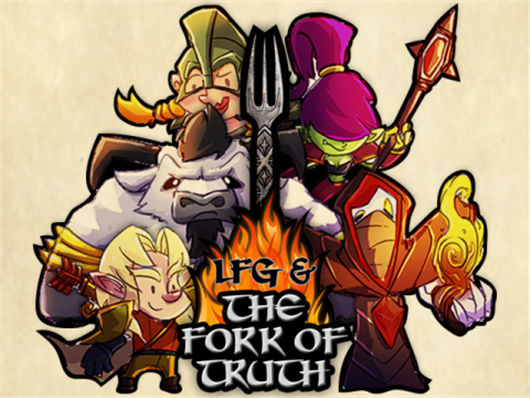 The Official LFG & The Fork of Truth Wiki! We have even more exciting news today! Brand new to both Kickstarter and Gamepedia, LFG & The Fork of Truth's official wiki has launched! LFG is the collaborative creation from Blind Ferret, who produce several web comics - including Looking For Group - and Paladin Studios. Available for Windows, Mac and Linux, LFG is a four person co-op RPG based on the universe created by the web comic of the same name. You and your friends play as Benny, Cale, Krunch and Richard as you explore Legarion and the side story created from issues 1 through 12! The LFG Kickstarter has so many cool rewards available, even on similar tiers, such as an in-game Cyanide and Happiness companion to follow you around. If you can't decide between companions, there is a reward level allowing access to all of them! Excited yet? Want to join in? Head over to the LFG Kickstarter and have a look at everything offered. Then see what the community has done with the wiki so far! If you're interested in contributing to the wiki, check out the help page for tips on getting started, editing and adding content! We look forward to it!